In this case study, a banquet hall in New Jersey wanted to appeal to a more sophisticated client base. 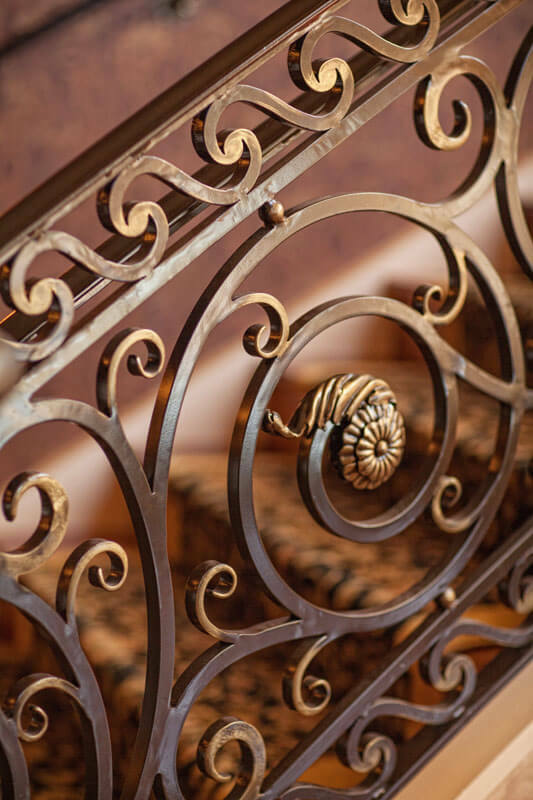 The design team determined an iron railing would add elegance and beauty to achieve the level of ambiance for each wedding or corporate event. There were some budget constraints, but the project was value engineered for maximum visual impact. A certain number of scrolls, leaves and flowers were hand forged and custom created, with some of the more tedious design elements machine done. Another aspect was time frame. The typical time frame can be 3-6 months and with this catering facility being busy, they wanted minimal construction time. 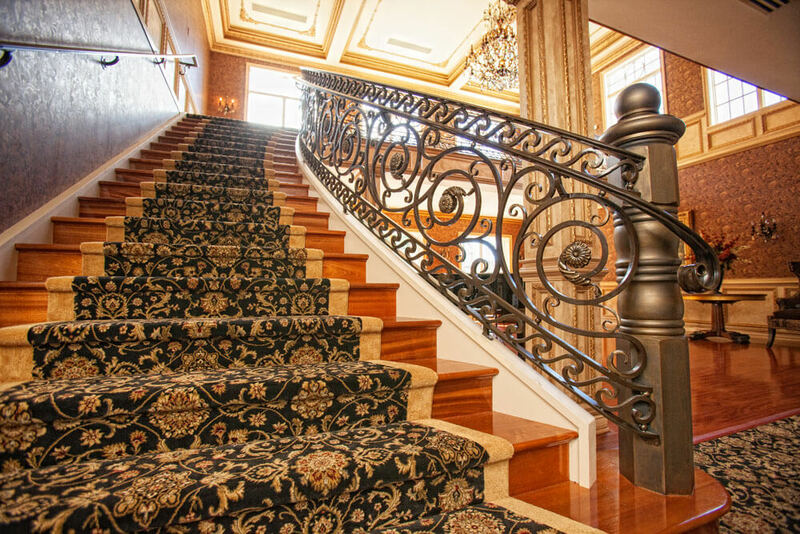 With pro-active communication and planning, multiple components of this prestigious Wrought Iron railing could be created to correct configuration. And by having custom stairs pre-built, pre-measuring before they went to the site, many portions of the railing could be semi-completed. Stairs were installed, our precise measurements happened immediately thereafter, and the stairs to stair railing time was a few weeks instead of months. And the design strategy worked. 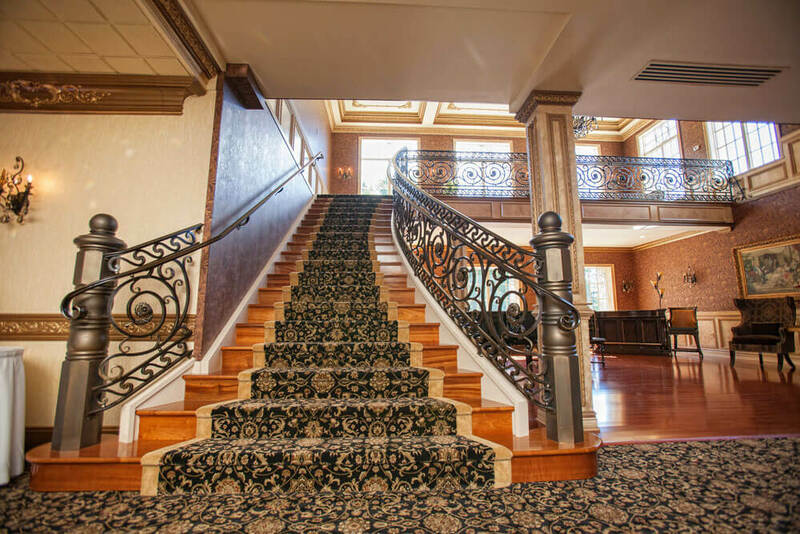 Bookings for the New Jersey venue increased, to the point where they added the second staircase and Wrought Iron Railing! This time they added a Wrought Iron Balcony railing design as a perfect photo-op for wedding party or company group. The venue was thrilled with the continued response for the renovated rooms, as it was a great investment, one that will continue to provide ROI for years to come. And with the level of pre-planning, schedule disruption and construction clutter were kept to a minimal time frame. 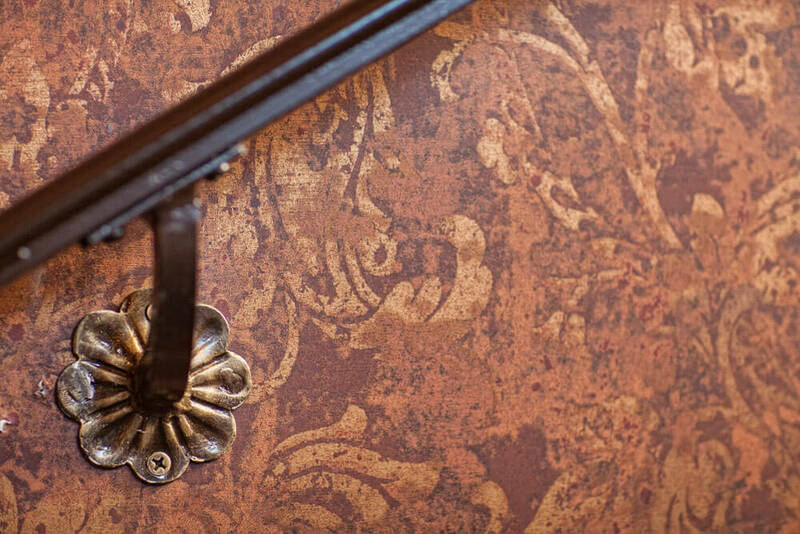 All adding up to making them thrilled they went with a beautiful custom forged Wrought Iron Railing that is eco-friendly with 97% recycled content.